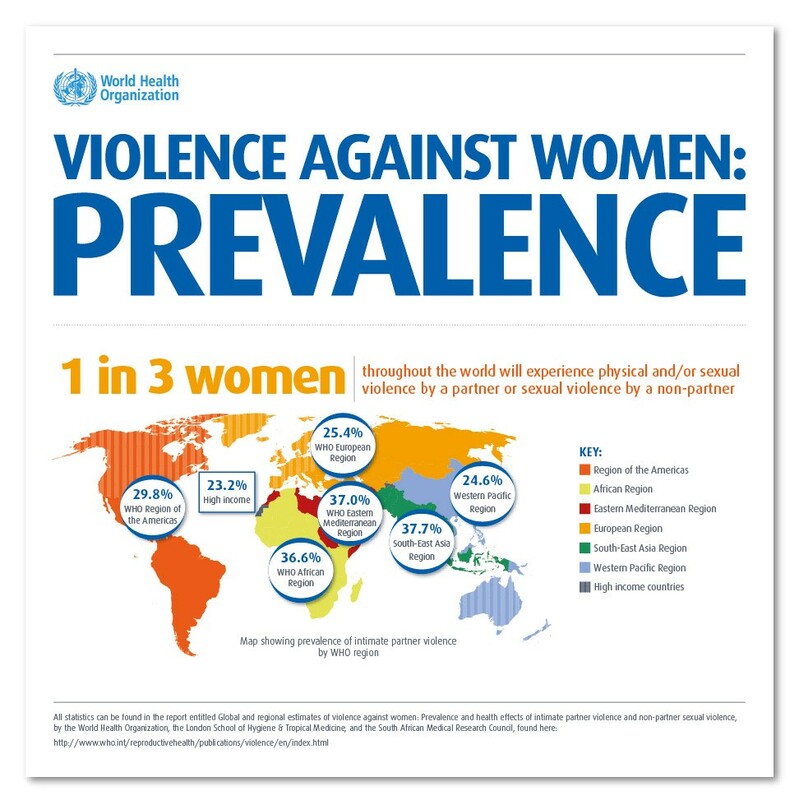 The World Health Organization has released a new report showing that 35% of all women will experience either violence and/or sexual violence by a partner or sexual violence by a non-partner. The report titled Global and regional estimates of violence against women: Prevalence and health effects of intimate partner violence and non-partner sexual violence is the first systematic study of global data on the prevalence of violence against women – both by partners and non-partners. The report describes the health impacts of violence against women. The report calls for a major scaling up of global efforts to prevent all kinds of violence against women by addressing the social and cultural factors behind it.